Late night Bakkut Teh with family is major LOVE! And then we strolled around the mall.. Helping bro picking out a casual blazer. 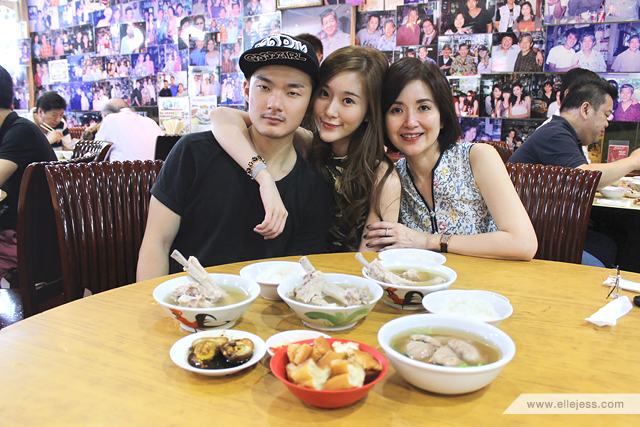 Later on that night, we decided we’re still hungry, so we went out hunting for BAKKUT TEH!! 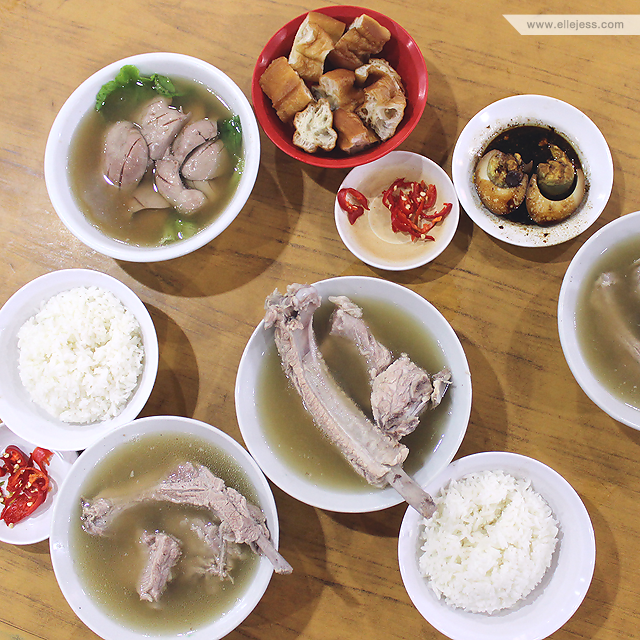 This one －Founder Bak Kut Teh was heavily recommended, and it opens til late at night (til 02-03 AM, I believe), so off we went! 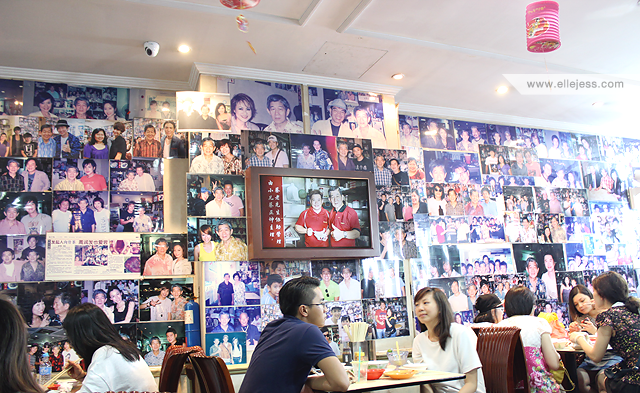 As you can see, the wall of this restaurant is filled with photographs of celebrities who visited this place, including Jay Chow lol. It’s that famous! Overall, the Bakkut Teh was very good! The combination of the tender meat (which easily slipped off the bone), hot-clear-fragrant peppery soup, chopped chili, stewed soy sauce egg, pork liver, ETC. 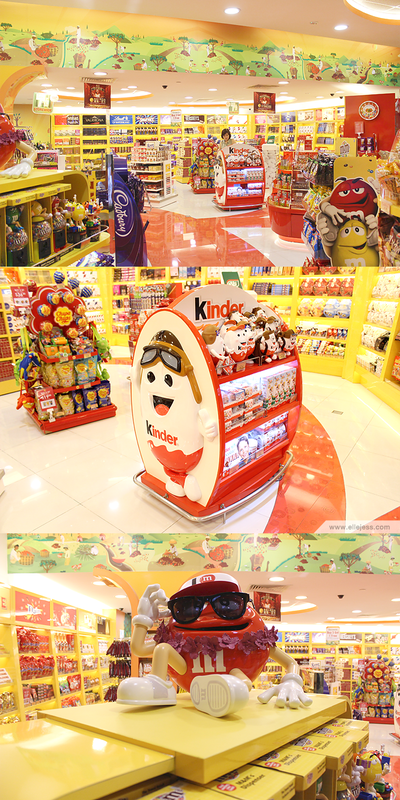 WAS SO NICE LAH!!! The service was fast. We were seated with another 3 people, but it’s okay because the restaurant was really packed (eventhough it was 11 PM!) and it was a pretty big table. I recommend you to also try the Beancurd Skin, twas really good! Lolled at the BadBoy GoodGirl Snapback my brother wore that night. And I decided to eat ice cream! 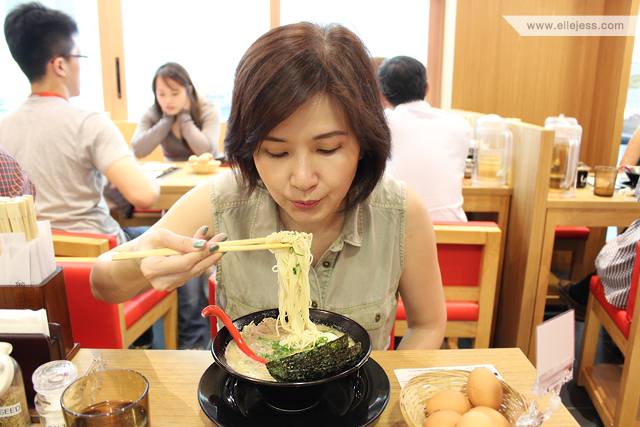 Next stop was lunch at Shirokiya Chijmes! Lol, taught mom this ‘look down and smile’ pose and she looked really cute doing it! Especially with her Japanese teeth (read: messy teeth lol). But what is it that she’s holding there? It’s this SUPER DELICIOUS Soymilk Green Tea Ice Cream!! AAAAAAAA this one is really, really, really delicious, beyond expectation like mad!!! Must try!! Blur but we’re lovin it!! 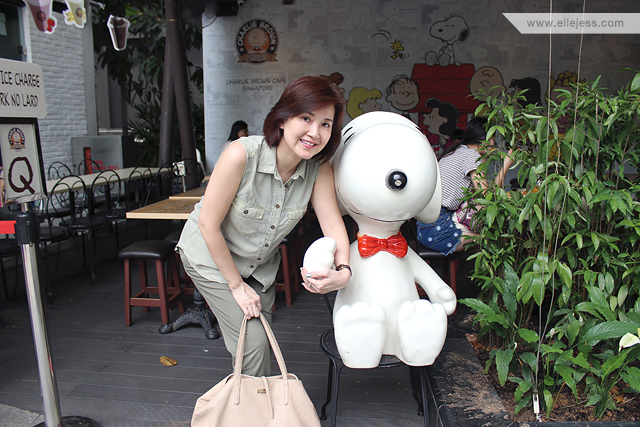 Mom, you can try other pose, actually lol. Obligatory full body pose with moi pretty mama! SUPER BIG AND DELICIOUS Smoked Duck Breast Pizza at Marché OMG!!!!!!!! I had three slices I guess, so delicious! Haha it’s a show and I wanna watch it! Hopefully I can! 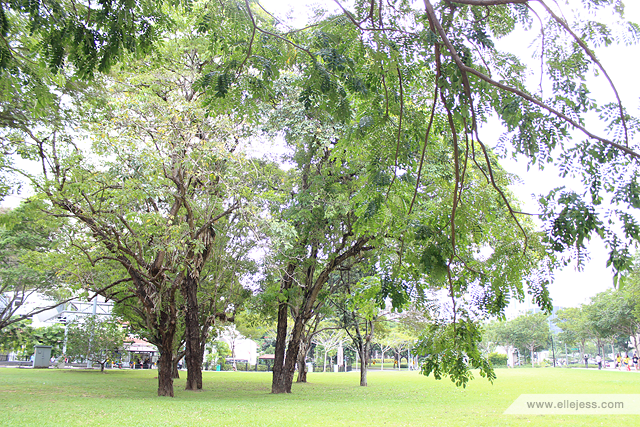 The view and natural lighting was very gorgeous lah, really easy to get good shots like this haha. LOL AWKWARD SHOT WITH BRO!!! It’s because there was this guy who suddenly approached us and offered to take our picture together because he thought we were on our honeymoon LOL WTH hahahaha. 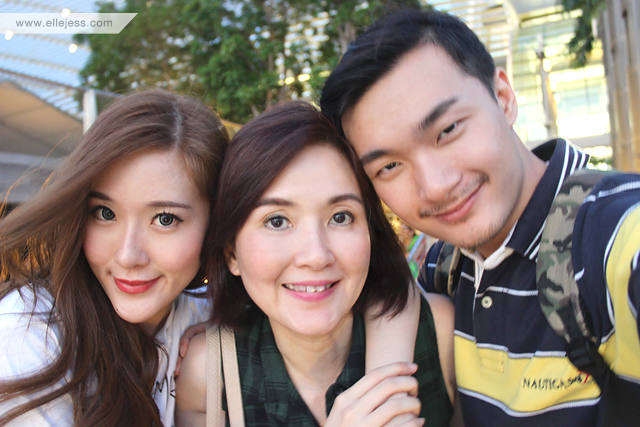 Love you so much, mum! 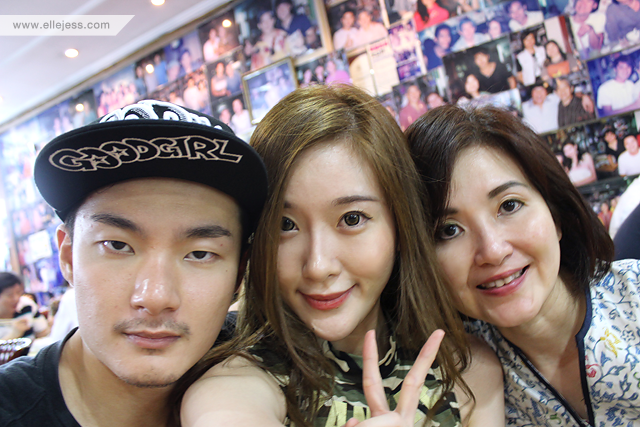 Mom no longer doing the ‘look down and smile’ pose, instead, she looked down and posed like this lolol still so aegyo! Itadakimasu! Yep, it’s my turn for the ‘look down and smile’ pose lol. Too bad we didn’t get to try this place, because we were in a hurry. Next time, then! A smooch because you’re so cute, Charlie! 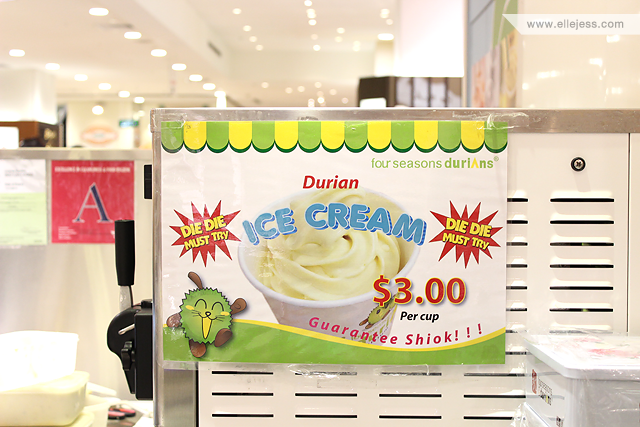 The Durian Ice Cream tastes like an icy cold, super creamy rich Durian that melts in your mouth. MOTHAFREAKIN GOOD. 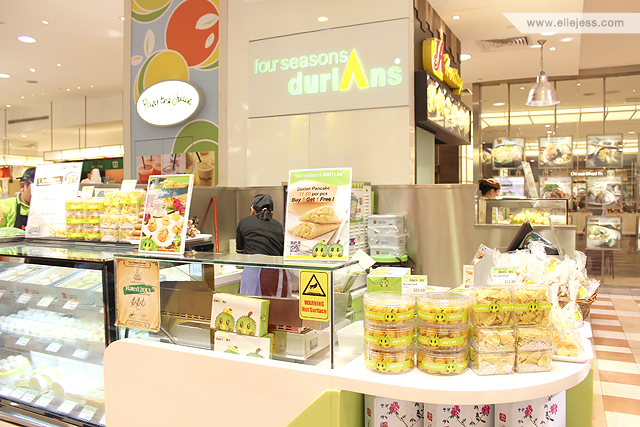 The Pancake Durian is also a bliss. Must try, must try!! 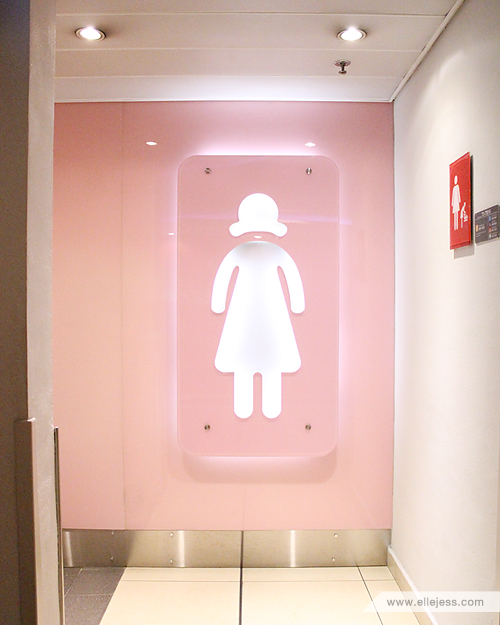 Saw this very cute and girly baby pink female toilet sign! 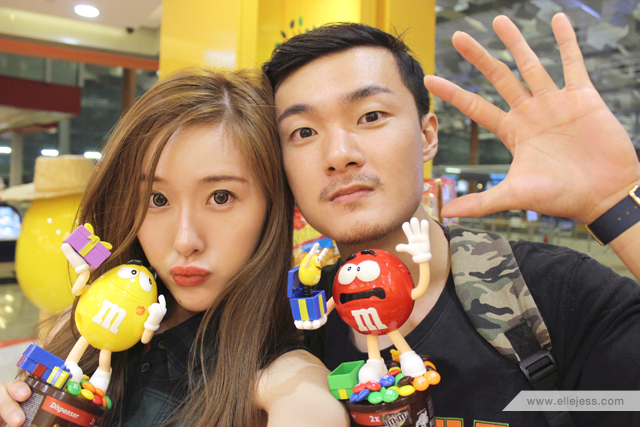 Okay yes, before we’re going back to Jakarta, of course mom had to shop for confections lol she’s sweet like that. 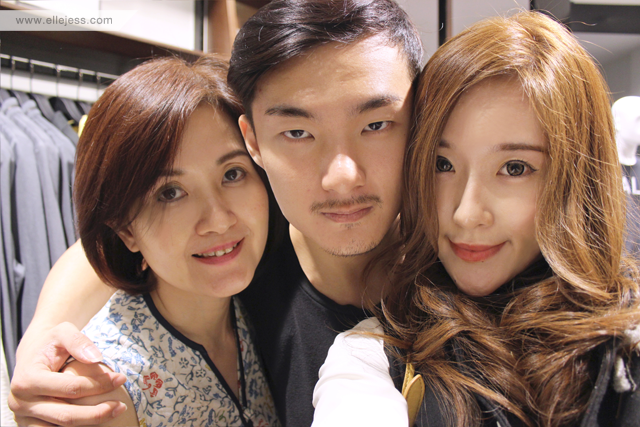 uwaaaa,,, you're so beautiful Jess!! 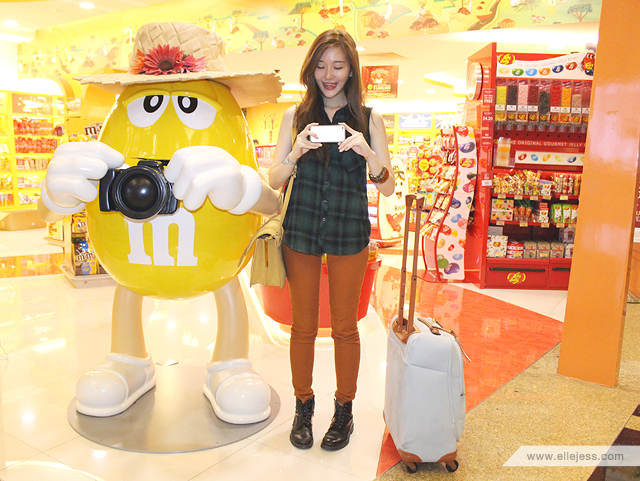 whre do u bought the yellow coloured bag?